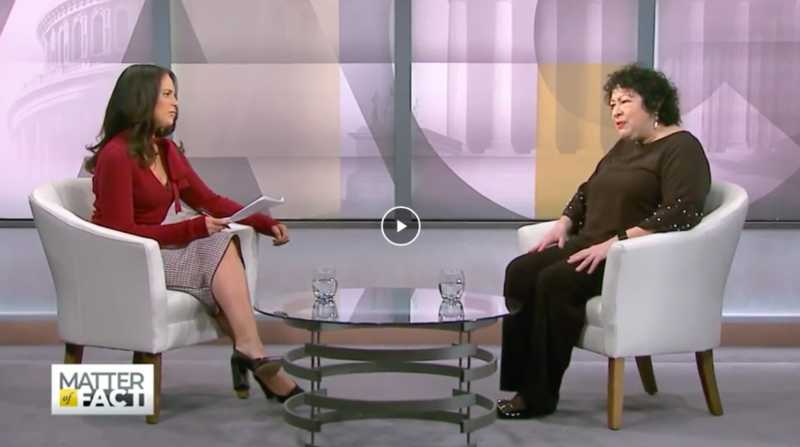 Associate Justice Sonia Sotomayor, Supreme Court of the United States, sat down with Soledad O’Brien for a two-part interview about today’s crisis of civic participation and the urgent need to revitalize civic education as a solution. Today, she explains, classroom time devoted to civics is at a historic low, and the impact is evident in declining civic participation from voting to volunteerism. There is a distinct correlation between civic knowledge and engagement. Students who receive a quality civic education, rooted in real life experience, are more likely to become active citizens for life, and better students all around. Her commitment to the cause led her to take up the mantle of iCivics’ founder, Justice Sandra Day O’Connor, as a member of the iCivics Board of Directors and tireless advocate for civic learning and engagement. The key, she says, is “exciting people about their voice and their government.” iCivics does just that with its immersive games and resources.